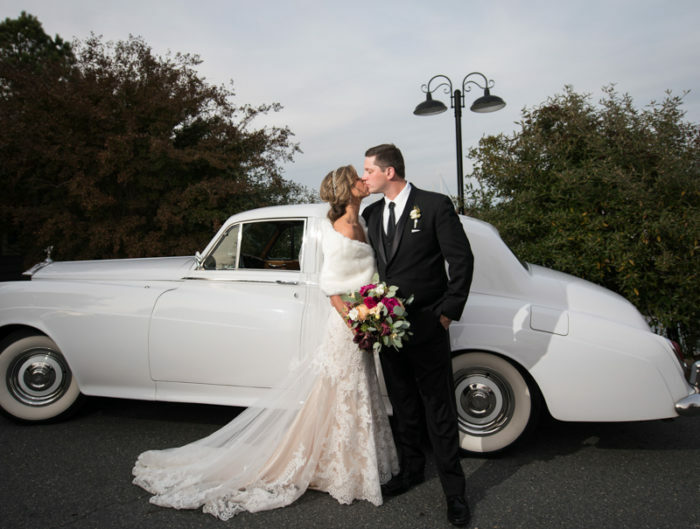 Today’s wedding in Maryland from Katie Stoops Photography and Events in the City is the kind of wedding that just puts a smile on my face. Perhaps it’s the complete joy emanating from the bride and groom, or the adorable details, or the stunning venue on Maryland’s Eastern Shore (or all of the above), but I just can’t help it. Meghan and Greg were married on a beautiful day in August they incorporated lots of fun gray and yellow details throughout the day, and even brought their pup to help meet and greet guests at the cocktail hour! From Events in the City: Meghan and Greg got married a a beautiful private estate on the Eastern Shore in Maryland. 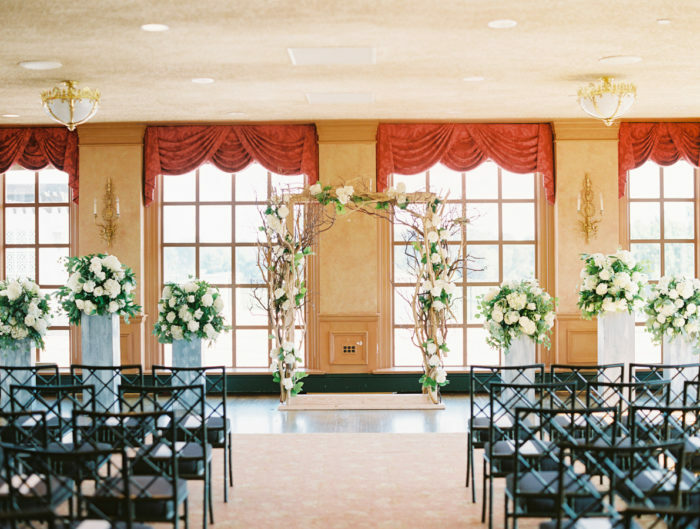 Meghan chose decor that would bring some relaxed, personal touches to the grand estate. A yellow and gray color palette brought a modern twist to the tent; bright yellow tulips, chalkboard table numbers and votive candles nestled in mason jars made adorable centerpieces, and personalized pinwheels directed guests to their seats. This was truly a family affair, with Meghan and Greg’s dog on hand at cocktail hour to meet and greet the guests. Big Sip kept the dance floor packed and this rocking party ended with a late night dip in the pool by the bridal party! Katie was incredible to work with on this event! She captured the beauty of this stunning venue AND the playful, loving relationship between Meghan and Greg! I can’t wait to work with her again! OMG great photos! I love those colors and her yellow top siders just made my day! Special Sperrys « Wedding Blog ¢ It™s a Bride™s Life ¢ Real Brides Blogging til I do! 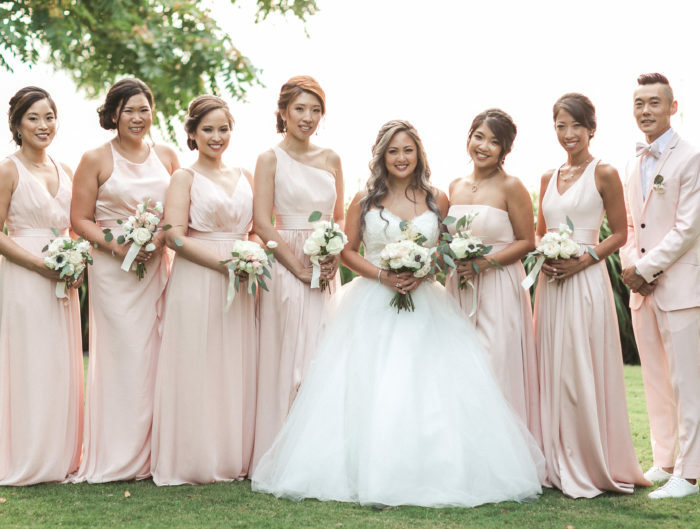 Would LOVE to know where she got those bridesmaid’s necklaces… they would be perfect gift for my upcoming Oct wedding! How do you find a private estate like that? So ideal!